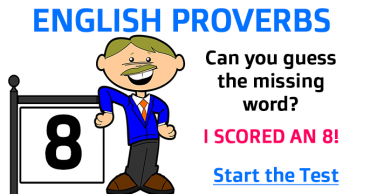 Which word is missing in these English proverbs? 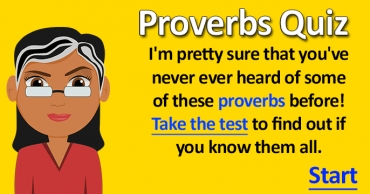 Have you ever heard of these English proverbs? 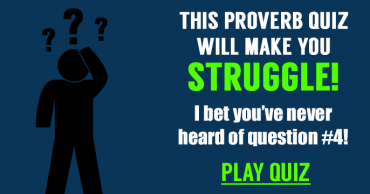 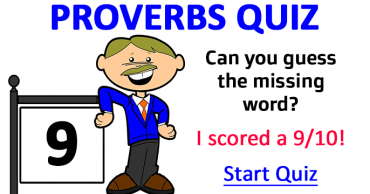 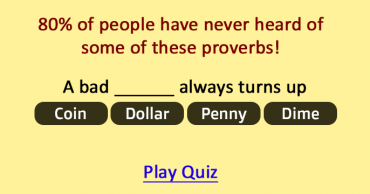 80% of people have never heard of some of these proverbs! 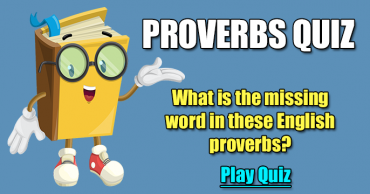 English Proverbs Trivia – Do you know them all? 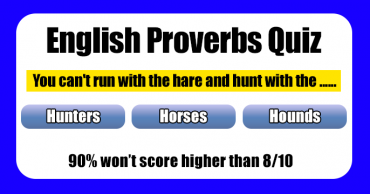 More English Proverbs – Can you complete these? 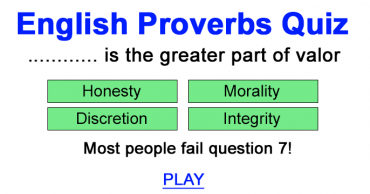 English Proverbs Quiz – How many do you know? 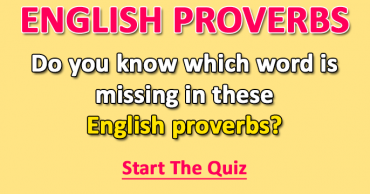 English Proverbs with a missing word – Who knows them all?